Last year, we had a cord of wood delivered and I decided to stack it myself. The decision was not based on the cost of having someone else do it; I figured, it’s good exercise, what the heck? So I started in the morning and finished about 4 hours later in the afternoon. Afterwards, I took a hot bath, downed two Aleve and reveled in my accomplishment. What I didn’t know was that I would feel the consequence of that “exercise” for the next 6 or 7 days! This year, I got smarter. 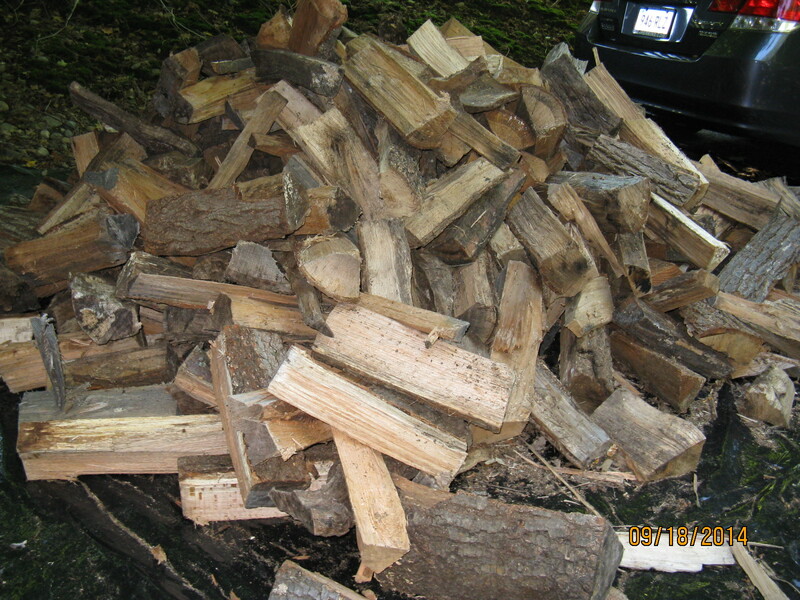 I decided to work on the woodpile for an hour to an hour and a half each day. 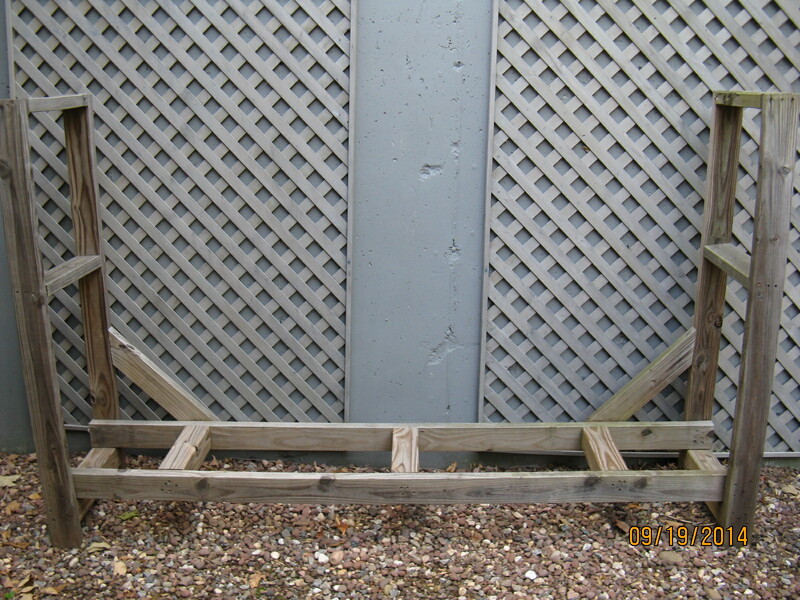 There were 2 places to stack: one, next to a shed and the second on a stand we had used before to hold wood. No more Aleve, no back pain, no need for a hot soaking bath. Voila! 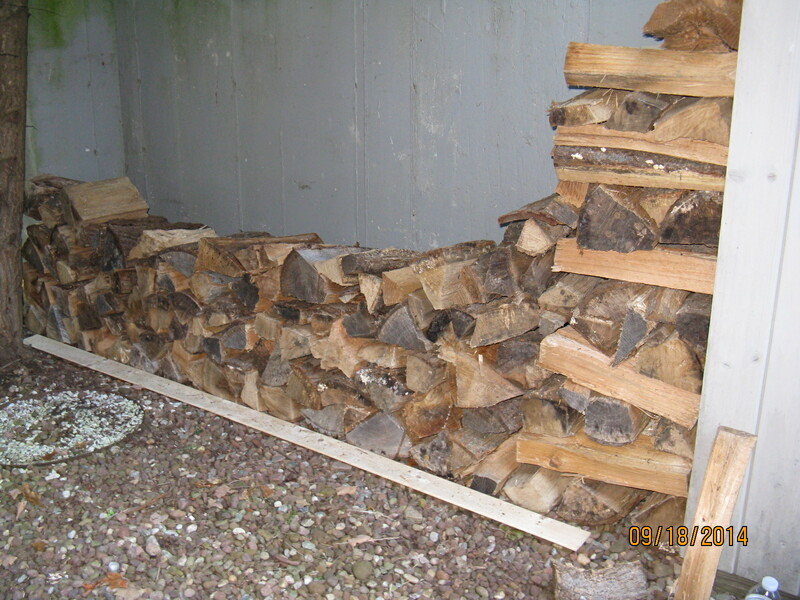 Within days, the wood was all stacked and I felt a resounding sense of accomplishment for having done it. 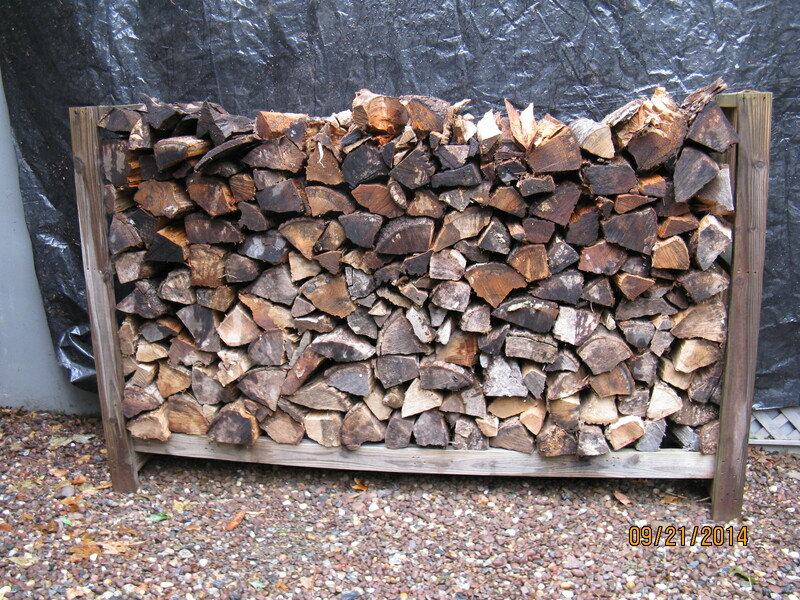 You might ask yourself what does one think about during the tedious job of stacking wood? A little story: when my stepdaughter was a teenager, she spent some time on a kibbutz in Israel. One of her chores was picking dates. We once asked her what she thought about as she did the mindless task for hours on end. “Everything,” she answered, “Life.” Well, I’m neither as introspective nor as philosophical as most people so mostly I thought about what size and shape piece I needed to fit a certain location. Like a jigsaw puzzle. Only heavier. And 3-D. I put aside certain pieces for ends; some unusually shaped ones for the top and some really thin pieces to use as shims when I saw a layer leaning. Sometimes I counted (see my blog from Jan. 24, 2013, “You Can Count On This”). How many logs could I carry at once? How many trips did I make today? 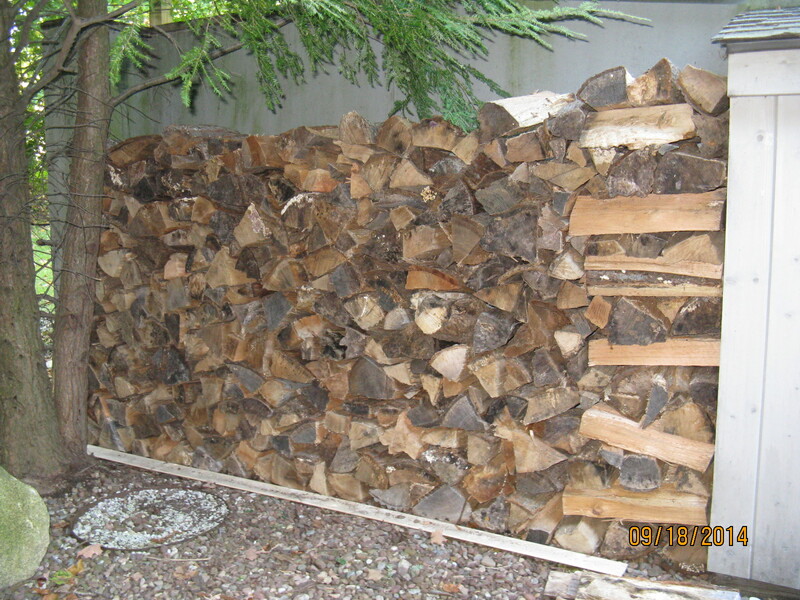 How many total logs did I place (easy to calculate; just multiply the first answer by the second!) 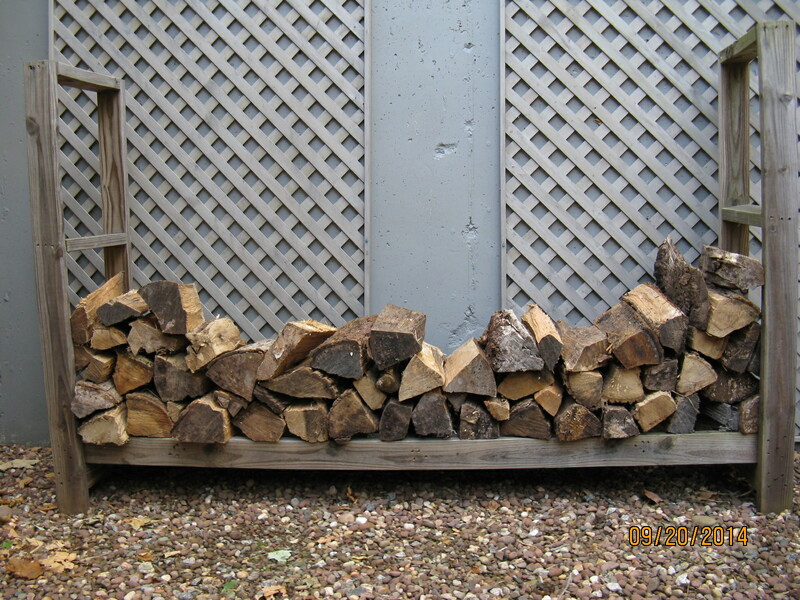 How many steps did I take between the woodpile and the placing of the log? Congratulations on a job well done with less pain! It doesn’t surprise me at all that during this task your inner musings were all mathematically based! Oy Vay! I’m just going to turn up my heat! Love it! Long a favorite pastime here too, from dropping trees, cutting to length, splitting, stacking, carrying, and the burning. All by hand, and warms one many times over! Thanks, glad you share my activity! Did cross-stacking last year; we decided to change it a bit this year.